We are a non-profit Christian teen center. We might have our Christmas Party in Abilene at Brookville Hotel that serve chicken meals. They said we could have a ventriloquist come to their location. We would need a show that is on the safe side as far as content goes, family friendly for adults, if possible. We have some 'hams' in our group and we all love to laugh! Who do you think you’re callin’ a dummy? Oh… you’re just looking to hire a ventriloquist and their dummies for your next event? What a good choice! You’ll be amazed at how these ventriloquists can manipulate their voices without even moving their mouth! And they are a perfect entertainment choice for basically any type of event. Kiddos will love a family friendly and even educational ventriloquist for their next birthday party, and you and your friends can enjoy a ventriloquist with more adult comedy at your next private or corporate event. Search for Ventriloquists in Salina, Kansas above. 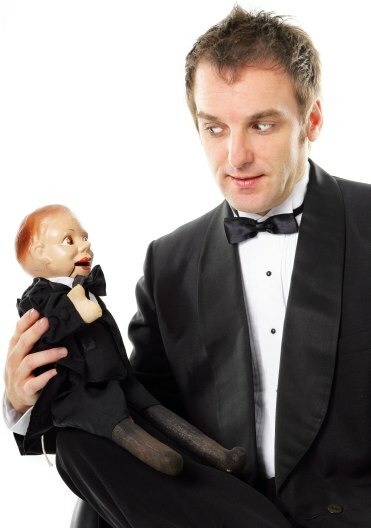 Please note that these Ventriloquists may also travel to New Cambria, Assaria, Gypsum, Falun, Bennington, Brookville, Solomon, Tescott, Lindsborg, Talmage, and Marquette.